Elegant metal shelving unit with plenty of space for all your favourite possessions. 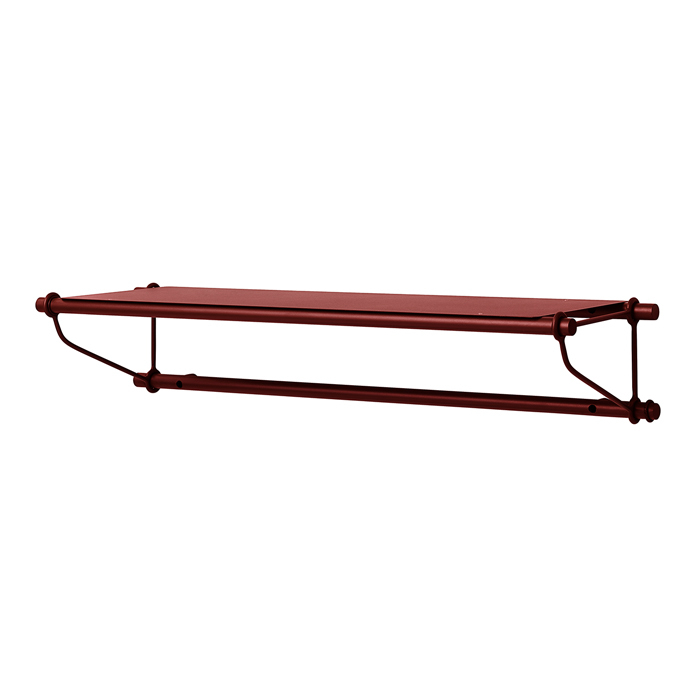 Parade is perfect for putting your belongings on display with the shelving unit serving as a beautiful frame. It comes either as a complete shelving unit or as an extended version with extra shelves, inspired by 1960s-style wooden shelves or luggage racks on trains, with the same lightweight idiom and functionality. This means that Parade can be used in an infinite number of ways: from the stylish storage of teapot, cups and plates in the kitchen to the display of books, pretty vases and green plants in the living room, or as an elegantly lightweight hat rack in the hallway. With the choice of colour you can either tone down the look or allow the Parade shelving unit to play a major role in your interior. Choose from several beautiful Warm Nordic shades. The shelving comes either as a complete shelving unit with three shelves or as individual shelves. 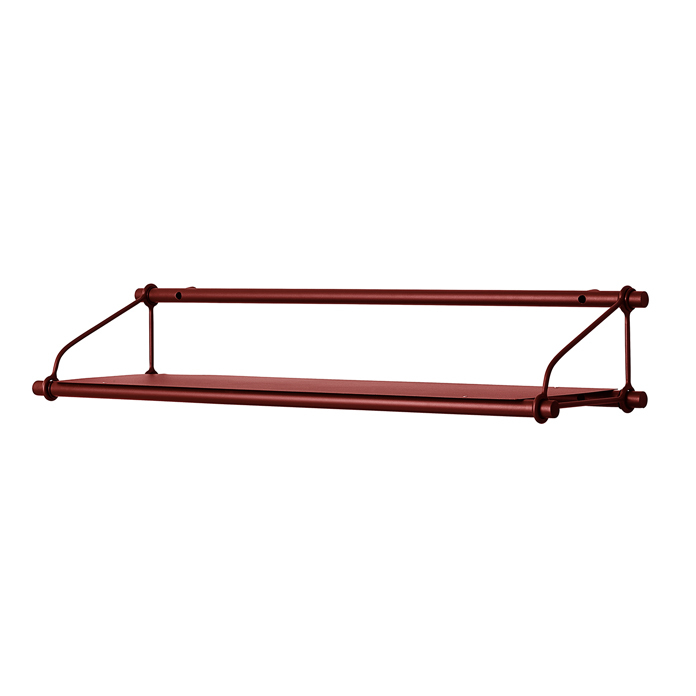 The shelves can be combined with an extension to extend your Parade. The Parade shelving is the work of the Norwegian design partnership, Morten & Jonas who have created a modern version of the classic shelving systems and shelves of the 1960s. Whereas they were often made of a combination of wood and brass, Parade is made of pure metal, which lends the design a New Nordic touch and invests the shelving with a beautiful industrial lightness.